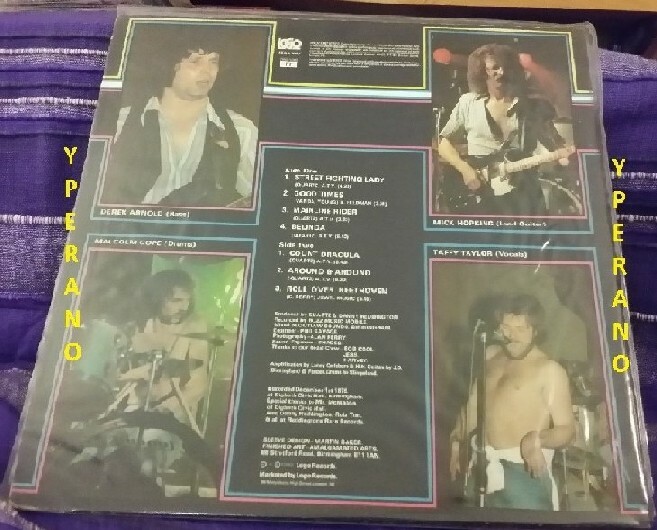 QUARTZ Live Quartz 1980 UK 7-track LP album recorded live at the Digbeth Civic Hall in Birmingham on the 1st December 1979. 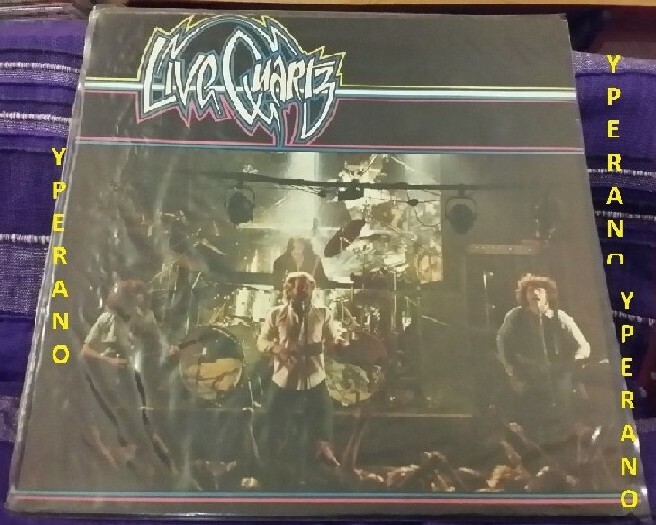 Released in 1980, Live Quartz rattled few cages but entertained many upon its original release. Here was one of Britain s hardest working acts a band that would go on to play the Reading Festival a total of three times and would tour as support to UFO, Iron Maiden, Gillan, Saxon and Rush doing what they did best in front of a highly partisan audience. In short, Quartz rocked! On a good night, it was a brave band that would take the stage after Quartz had done their thing. When Quartz did the job at hand that job stayed well and truly done. As live albums go, Live Quartz is one of the more memorable ones. Listen and believe! This seven-song live album was Quartz’s second official release (1977s eponymous debut and 1979s Deleted were, in effect, the same LP) and, in some ways, it put a cap on their first incarnation as failed ’70s hard rock wannabes so that they could reinvent themselves a year later as New Wave of British Heavy Metal contenders. Alternately known as Count Dracula and Other Love Songs, the album matched catalogue highlights such as “Street Fighting Lady,” “Around and Around,” and the majestic “Mainline Riders” with more blues-rock-oriented material and cover versions. Among these, “Roll Over Beethoven” and “Good Times” (a decent take on the old Easybeats’ number), and its therefore down to the more metallic, epic-length jamming of “Count Dracula” to prove that Quartz — and especially bespectacled anti-guitar hero Mick Hopkins — weren’t all bark, but had a little bite as well. Live is a seemingly honest concert from a hard working band.